Election 2016: Will the Next Administration Stop Undermining True Infrastructure Needs? Politicians who talk about infrastructure spending as a means to revive our economy is not new. Unfortunately, many usually focus on government pouring concrete according to political influence and favoritism. That’s all about politics misallocating resources, that is, government waste. It’s not about enhancing economic growth. Legitimate infrastructure spending is driven by the private market. That includes, for example, government investment in roads, bridges and highways that follow the actual needs of the marketplace, as opposed to bridges and highways to nowhere. But the clearest case of sound infrastructure investment is the kind that actually occurs in the private sector, and therefore, is subject to the market disciplines of competition, prices, profits and losses. So, based on simple, sound economics, we should be able to agree on the benefits of private infrastructure investment. Unfortunately, though, politics too often gets in the way. In recent years, this has been most evident on the energy front. For example, there was President Obama’s rejection of the Keystone XL Pipeline. The 1,200 miles of Keystone Pipeline would have transported crude oil from Canada and the U.S. Bakken region to Steele City, NE, and from there on to Cushing, Oklahoma, and then Gulf Coast refineries via the completed portion, known as the Gulf Coast Pipeline. The decision process dragged on for more than six years in a political game, with the President trying to perform a balancing act between environmental groups opposed to the project, and labor unions that were in support, and an election that would determine whether he would spend a second term in office. In the end, Obama sided with the environmentalists, continuing this administration’s vehement opposition to the production and use of carbon-based energy resources. 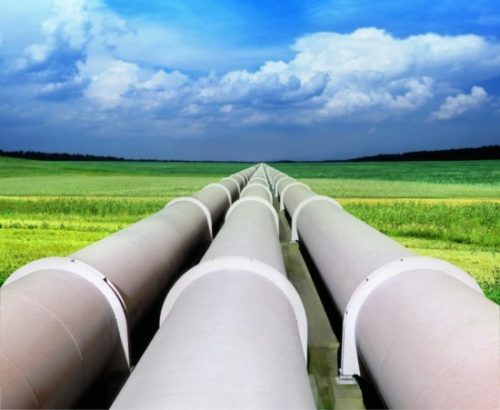 The reality, however, is that there would be no environmental impact from the pipeline. And the oil will still be produced, but sent to the market via another means. At the same time, though, rejecting the Keystone XL Pipeline is a clear negative for the U.S. economy. But there’s more. In early September of this year, the Obama administration stepped in to halt the construction of the Dakota Access pipeline. The project already had been approved by the government, and a federal judge ruled against a request by the Standing Rock Sioux Tribe to halt construction. On the same day of the judge’s ruling, the Obama administration made its announcement. This political decision to stop or delay the pipeline project by President Obama raises even more public-policy-related uncertainty on the energy front. The message is clear that if political interests oppose an energy infrastructure project – or any infrastructure project for that matter – the government could yank the rug out from under major investments, whether at the point of such projects being delayed and not yet approved, or even after successfully completing the approval process with the project underway. For good measure, the ills from delaying, failing to approve or halting energy infrastructure projects are not simply felt among large energy firms. The negative consequences hit small businesses hard. Consider that in the oil and gas pipeline and related structures construction sector, 59.2 percent of employer firms have less than 20 workers, and 84 percent have less than 100 employees. Make no mistake, when it comes to energy infrastructure, the industry overwhelmingly is about small businesses. Where Are Clinton and Trump? Now we have the question: what might lie ahead? The Obama decision to stop the Dakota Access pipeline is a truly astounding. It fully undermines the rule of law and private investment. It sets a dangerous precedent, and it reveals that much of the talk among politicians about infrastructure investment is not about what’s needed in the economy, but instead what special interests and politicians desire.